I’m kind of out of it, so I’m just going to dive right into the post. Is that cool? 1 PACKERS @ SEAHAWKS GAME - So apparently last night there was this crazy football game happening where the refs were horrible. I know this only because of the sheer response I saw from my Facebook feed. Me, being the loyal Seahawk fan that I am but living without cable, was peacefully “watching” the game on ESPN’s Gamecast where I only saw the play-by-plays and the score. I wasn’t really paying attention … but only noted that we won. It wasn’t until I saw everyone’s reaction that I wished I actually saw the game. Bah. I’m going to have to fix this football watching situation somehow. Because I want to be there for things like this. Anyways. That’s a Win for Seattle. Regardless of bogus calls. BONUS: Check out these sideline photos by the very talented Ben Haisch (I’m kind of jealous of all his shots!). 2 ARTISTICALLY NEVER SATISFIED - This past week I spent countless hours editing and editing photos from the recent kids’ shoot. Oh boy. As an artist by nature, I don’t think I could have been ever satisfied. Which reminded me of this famous quote from Ira Glass. It’s so true. If you’re a creative artist in some way (designer, musician, cook, painter, photographer, etc) … you’ll get this. Anyways. I’m waiting for that moment that things click. Where that gap closes and that my work catches up with that ambition he’s talking about. 3 MY BRAIN IS MUSH … I NEED A BREAK - With everything going on, between doing shoots and editing photos, attending and planning engagement parties, showing up to networking meetings and other meetings of the sort, I’m exhausted. To say the least. Absolutely exhausted and my brain is mush. My body is shutting down (I’ve been feeling a little sick). 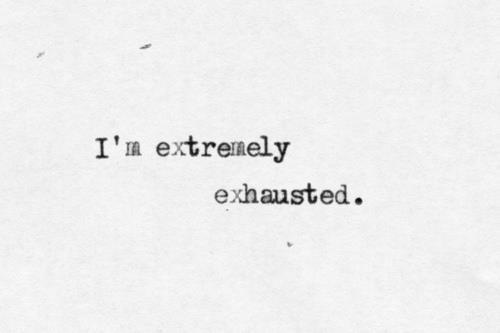 And well I’m just tired. My introvert meter has been all over the place lately and I just really need an LTE. Wow - I haven’t used that term in a while. Yes, I would love an LTE. Maybe I’ll do that soon. I need some rest. 4 TODAY IS YOM KIPPUR - Rest is a good thing since technically tonight at sundown is Yom Kippur. Honestly, I don’t know much about the Jewish culture but apparently LA is has a lot of it. I’m more used to southern hospitality and/or highly Asian influenced areas. So living in an area with any Jewish influence is new to me. 5 IT’S OFFICIALLY FALL & PUMPKIN SPICE LATTES ARE THE BEST - The cooler weather, scent of pumpkin, and colors of oranges and browns … I love it all. I foresee some chocolate chip pumpkin cookies to be made soon. Who wants some? I’ve been in such a Lumineers mood lately. I have a Pandora Station for it and it just makes me happy. This is actually the first time I saw the video … I really like the look to it. Kind of a folksy DIY southern church wedding party look to it. I’m a big fan of the stringed lights and the confetti. And the simplistic style throughout. How fun. Anyways - Ho Hey. Enjoy! 1 ENGAGEMENT PARTY SHIN-DIG GALORE - This past Sunday we threw an engagement party for my friends Chris & Krissy. It was AMAZING and fun and such a great celebration with the best people I know. The entire party came together in under a week with the help of all the super talented women in my community group and the longest email thread in the world. Seriously. It had to be 50+ emails back and forth. Kind of ridic, but the party turned out great. 2 DECORATIONS & HUSBAND’S DELIGHT WIN - Well my part in the party planning committee was decorations and desserts. And so I didn’t really have much of a game plan with either but it worked out! And I know it’s not that big of a deal, but I love doing these things. Must be my Special Events skills kicking in from back in the day (I used to cater and plan large scale parties for a couple years - and I loved it). My friend Lauren helped me make bunting with little tissue pom pom’s and cupcakes. And then I made this layered dessert called Husband’s Delight which was a big hit! Which was great since I made it from memory. I’m really happy that it turned out great. I just wish I caught a picture in time so that I could make a recipe post about it. 3 KIDS PHOTO SHOOT - This past weekend I got to do my very first in-studio kids fashion shoot. Say what?! YES. That happened. What was initially only supposed to be 6 kids somehow ended up being 14 kids. Seriously - 14 kids!! And well, I’m super grateful that both Toby and Katie were there to help me make kids smile and laugh. Overall the shoot was a huge learning curve, but now we know what to do better next time. I can’t post any pictures until the client sees them, but here’s a behind the scenes pic. 4 ALWAYS LEARNING, NETWORKING, AND BRAINSTORMING - I don’t know how it happened but I found myself incredibly proactive and busy last week. Busy beyond the regular work and church. WEBINARS WITH HOMEWORK - I started a 5-week course on Skillshare called “Building Your Creative Empire.” I’m still trying to figure out the whole webinar meetup sitch, but I did brainstorm with another classmate at Intellegenscia last week. We definitely have some ideas in the hopper now! I’m excited. HOW TO WORK WITH MODELS & OTHER CLASSES - Working from home has made it easy for me to watch live workshops from Creative Live. So good! There’s still so much for me to learn about the photography industry - what a great resource! BEHIND THE MUSIC VIDEO - On Friday I was able to go to the Creative LA meeting and basically listen to the story of how Nabil Elderkin started in the biz. He’s a super talented music videographer who actually got his start when he bought the domain “kanyewest.com” before Kanye West was even signed. A little bartering for a photo shoot for a domain, and boom! Launchpad into a legit career. 5 MEETING SUPER TALENTED AND AWESOME PEOPLE - Being part of these networking groups and forcing myself to go to meetups actually helps me discover great people out there. One of which is this guy who told me to check out this video on his site. Let me just say this is an amazingly shot family vid with a great soundtrack. Enjoy! I know that I just did a Dog is Dead video, but who cares. I really like their sound! Hello friends. Tonight is one of those nights where I pull the “it’s still Tuesday in Hawaii” card. I spent all day watching a Creative Live workshop, went to a movie screening, and then spent the last hour of the day helping my friend find her lost car (we never found it). But I’m here now. 5TT - let’s do this! 1 MY INTROVERT METER WAS IN THE DANGER ZONE - This past week I somehow overbooked myself with plans each night of the week. I literally did something every day and that’s not good for a natural-born introvert like me. Granted, I love quality time and I love being around people. But I was seriously like on the fritz at the end. Birthday bowling, housewarming parties, two dinners with friends, meeting up at food trucks, dinners & dutch blitz … I mean, what was I thinking?! That’s the last time I go without me time for so long. Although - I had the BOMB Grilled Cheese Sandwich (made with Mac’n’cheese and BBQ pulled pork). The line was so long, but it was worth waiting an hour for it. So good. 2 HOLE IN THE WALL & FATHER’S OFFICE - In the midst of my busy, busy week I was able to try out two more burger joints in hopes to find the BEST burger and sweet potato fries in Los Angeles. People have been raving about Father’s Office, so I finally went there and tried it. And my thoughts are: 1) You can’t make any substitutions. That’s stupid. And 2) There’s a big ol’ chunk of blue cheese all over the burger. Not cool. But I did go to Hole In The Wall with a few of my friends. And well, this one went right up to #1 on the list. It was SO GOOD. It’s super customizable. You get to choose what goes on it, what type of bun you want, what kind of meat you want. The meat was juicy and delicious. Two of us got it on a pretzel bun and it was the greatest combo of salty and sweet at the same time. So yeah. Best burgers in my book so far are Hole In The Wall and Plan Check. 3 A NEW SONS & DAUGHTERS CD COMING OUT SOON - Dude I’m totally getting this when it comes out. It will most likely be on repeat for a very long time. 4 ENGAGEMENT SEASON - My roommate just got engaged this past weekend and two of my good friends in Florida are now engaged as well. I love it. Yay marriage! 5 ENVELOPE SYSTEM - I officially went on the envelope system this past week and actually have stuck to it pretty well. Except for the fact that I blew most of my “eating out” money right away - best burgers and Grilled Cheese Truck! C’mon - that’s a losing battle. But other than that, I’m doing pretty well sticking with my budget. Whatever is in that envelope, that’s what I’m spending on clothes, groceries, dining out, etc. Dave Ramsey would be proud. What’s the word? Live like no one else so that you can live like no one else. Boom. Ok bye. I think I may go to bed now. It’s 2 AM.